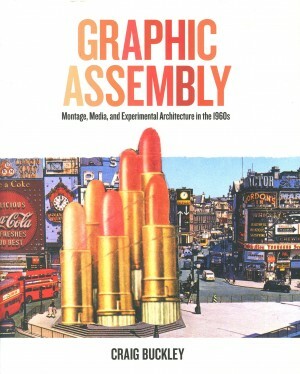 An innovative look at the contribution of montage to twentieth-century architectureGraphic Assembly unearths the role played by montage and collage in the development of architectural culture over the past century, revealing their unexamined yet crucial significance. Craig Buckley brings together experimental architectural practices based in London, Paris, Vienna, and Florence, showing how breakthroughs in optical media and printing technologies enabled avant-garde architects to reimagine their field. Graphic Assembly considers a range of architects and movements from the 1950s through the early \u201970s, including Theo Crosby, Hans Hollein, and John McHale; the magazine Clip-Kit; and the groups Archigram, Superstudio, and Utopie. It gives a thorough account of how montage concepts informed the design of buildings, prototypes, models, exhibitions, and multimedia environments, accompanied by Buckley\u2019s insightful interpretations of the iconic images, exhibitions, and buildings of the 1960s that mark how the decade is remembered.Richly illustrated with never-before-published material from more than a dozen archives and private collections, Graphic Assembly offers a comparative overview of the network of experimental architectural practice in Europe. It provides a deep historical account of the cut-and-paste techniques now prevalent with architecture\u2019s digital turn, demonstrating the great importance of montage to architecture past, present, and future. Minneapolis, 2019, 25x20cm, 400pp. illustrated, Hardback.